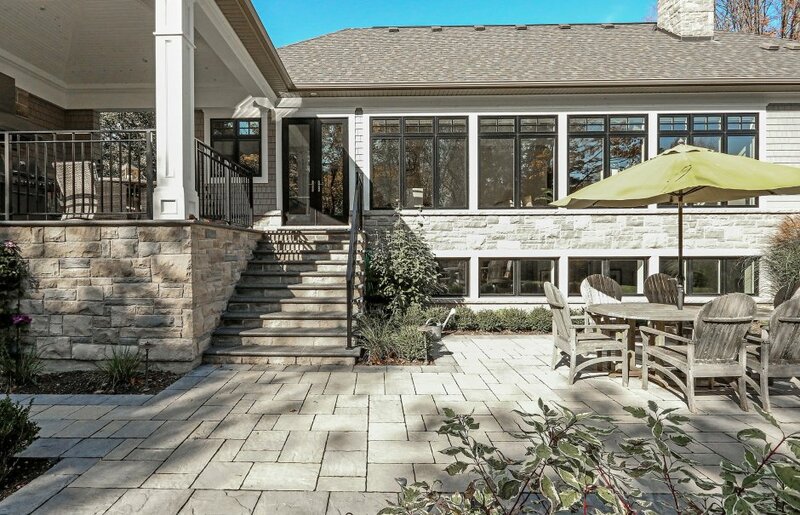 “Absolutely stunning” best describes this two year old custom built beauty, by award winning team of Hicks Architects and Chatsworth. 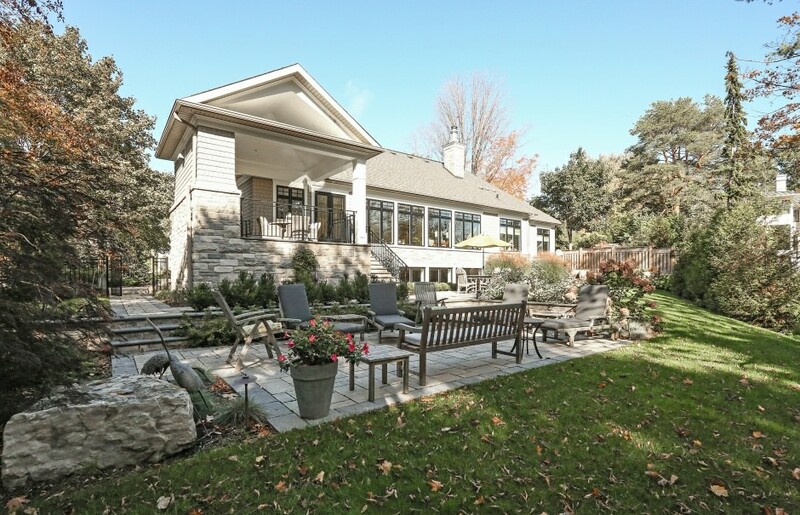 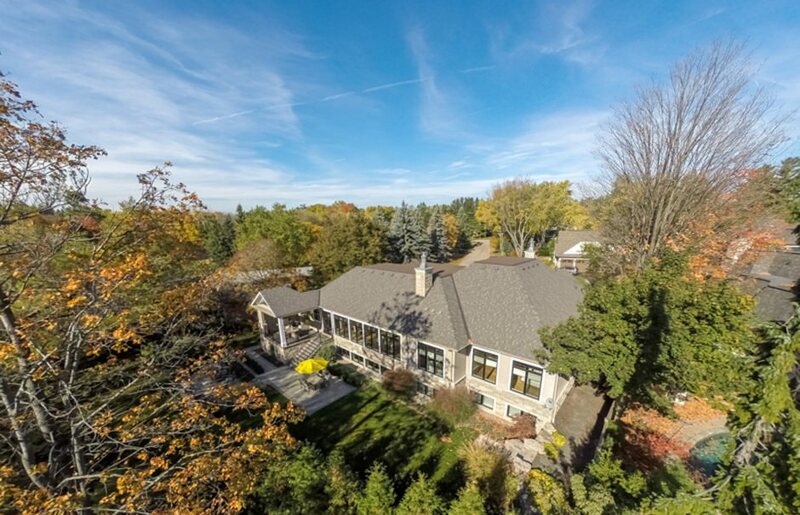 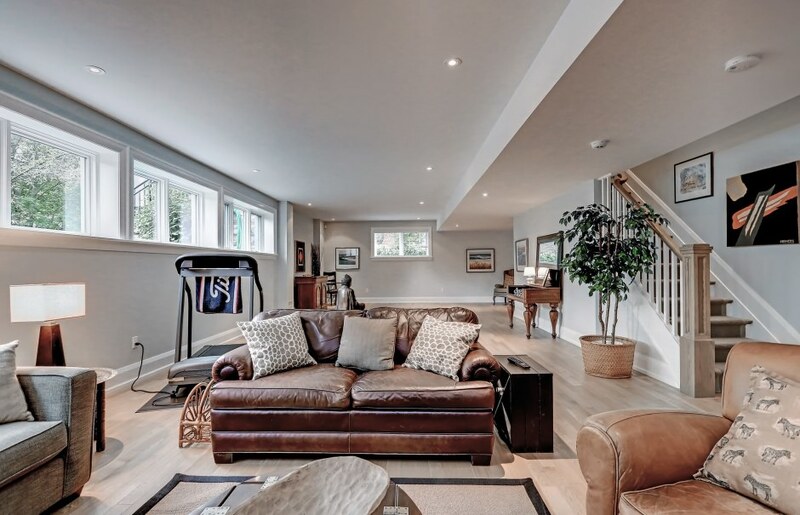 Over 3,229 square feet of unparalleled luxury abounds within this sprawling bungalow‎, plus an additional 3,229 square feet of professionally finished lower level. 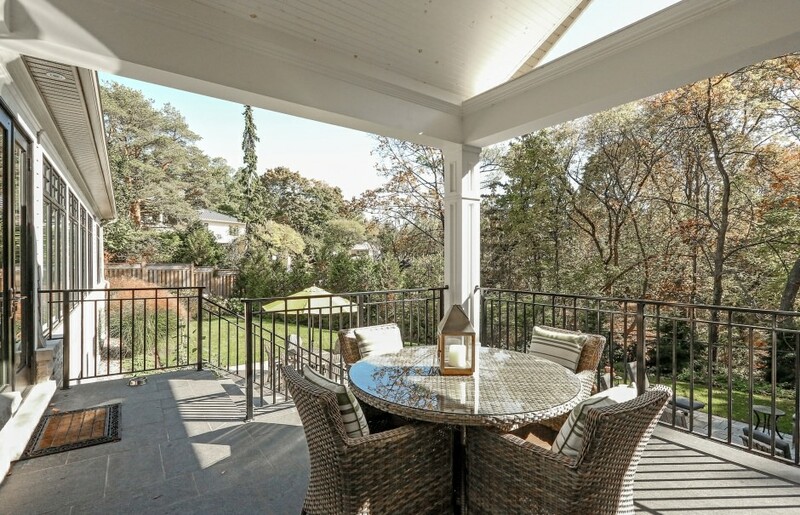 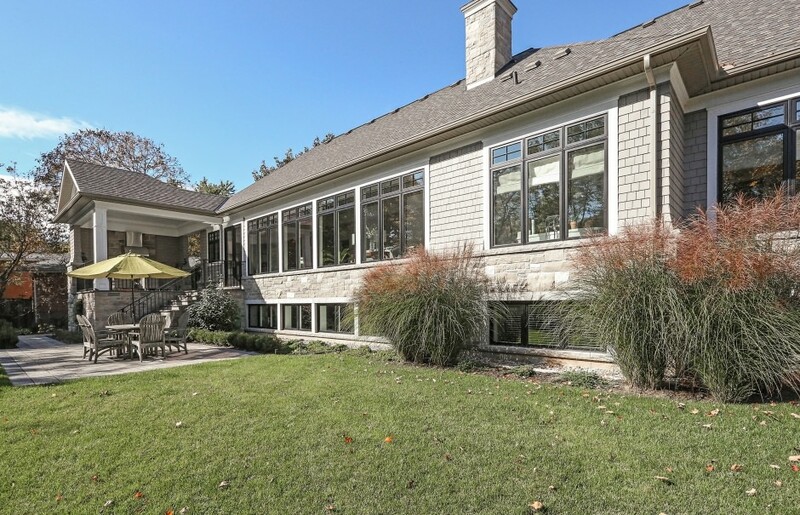 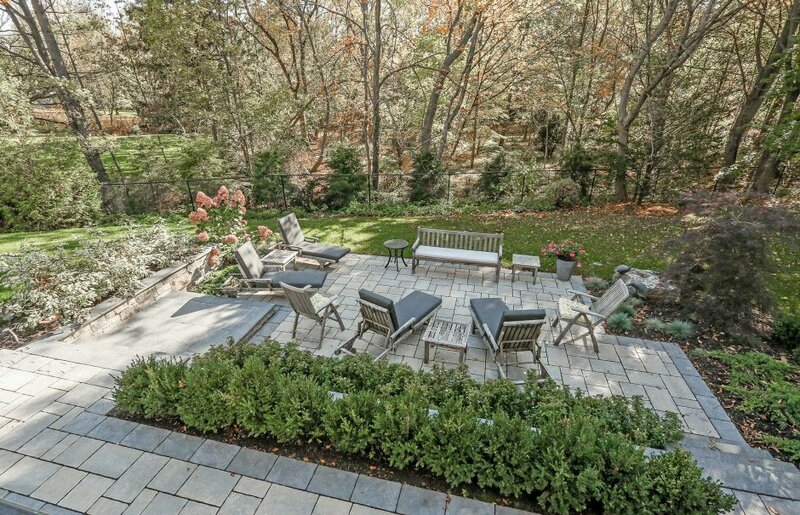 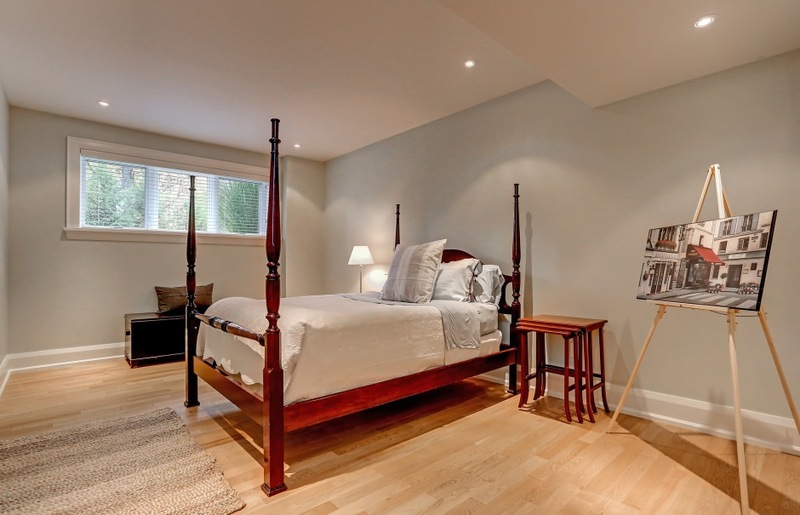 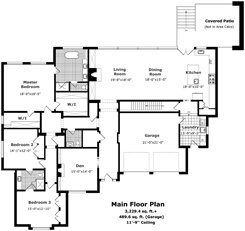 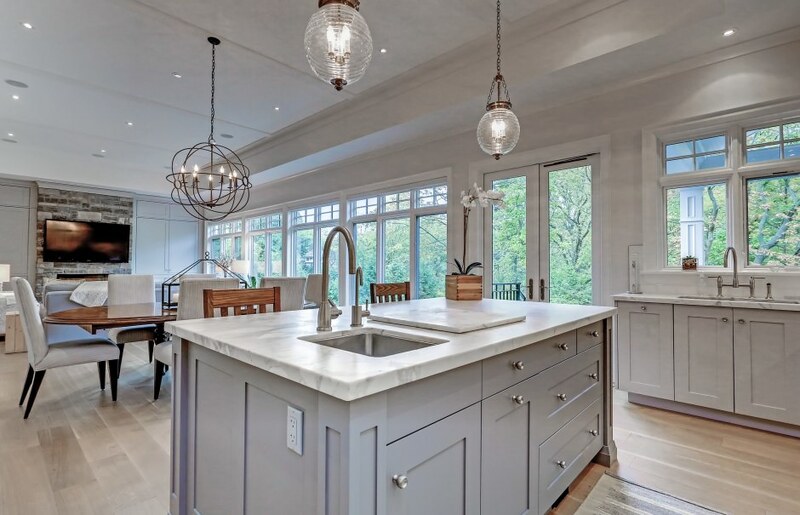 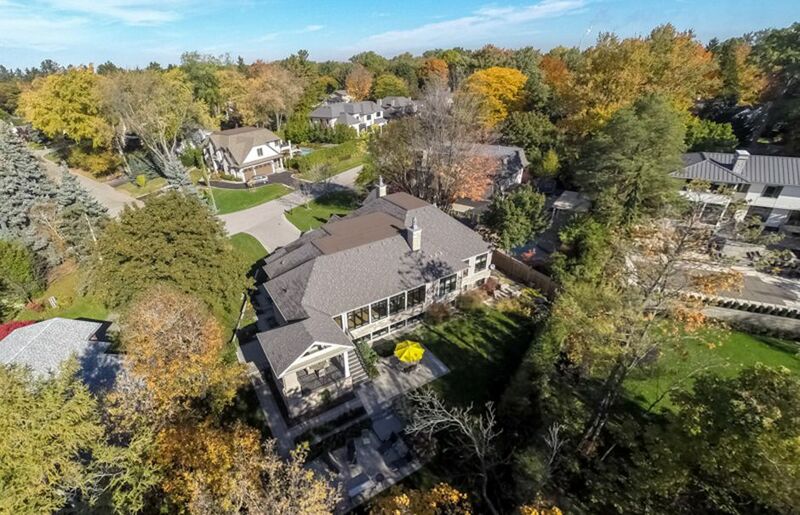 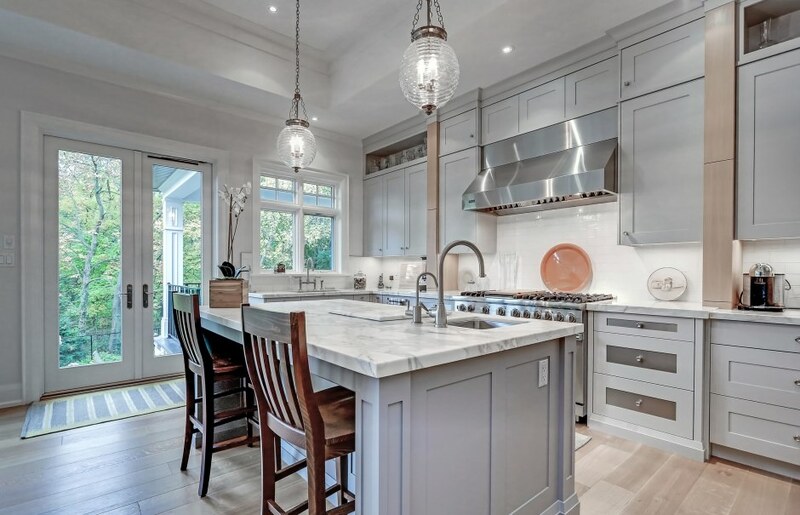 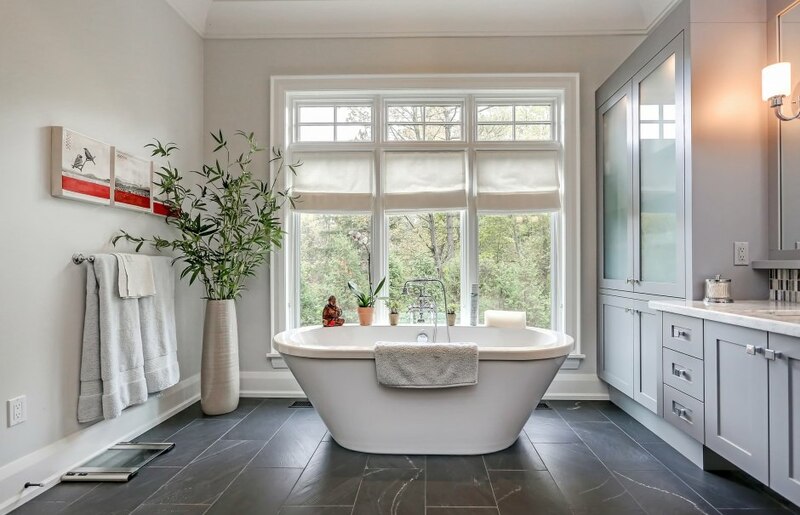 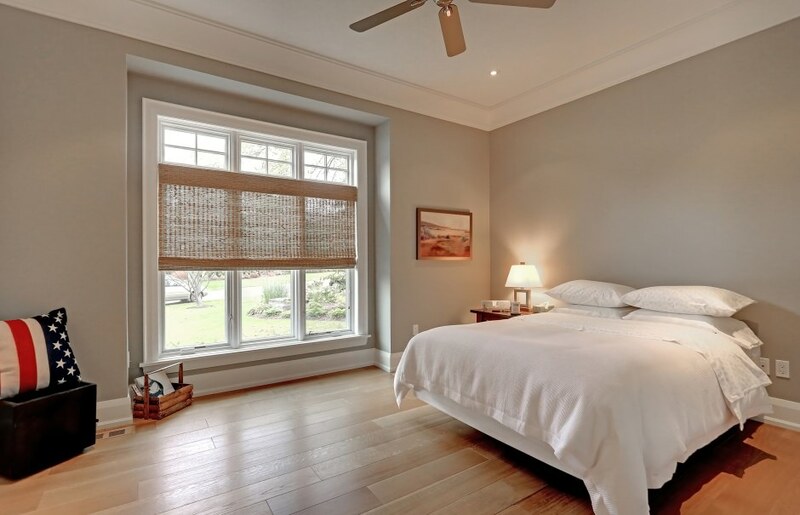 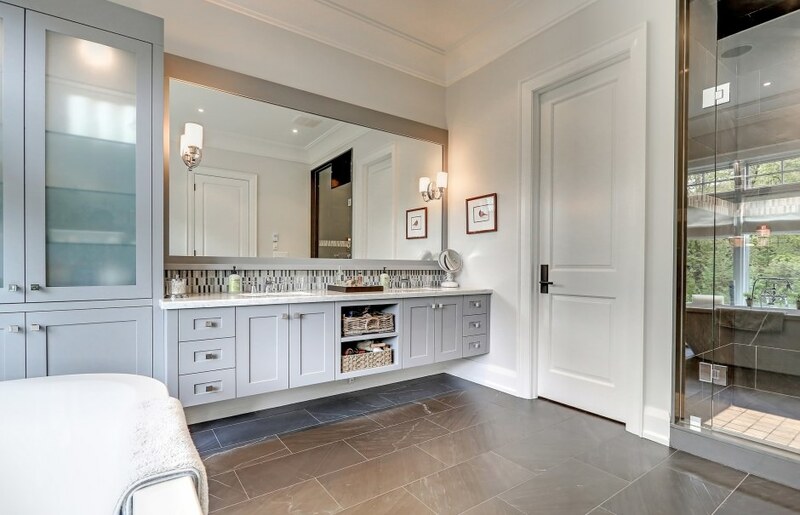 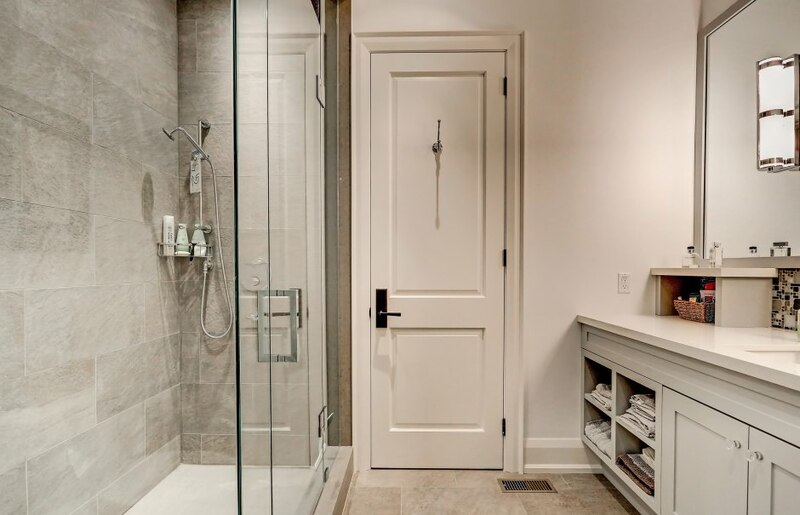 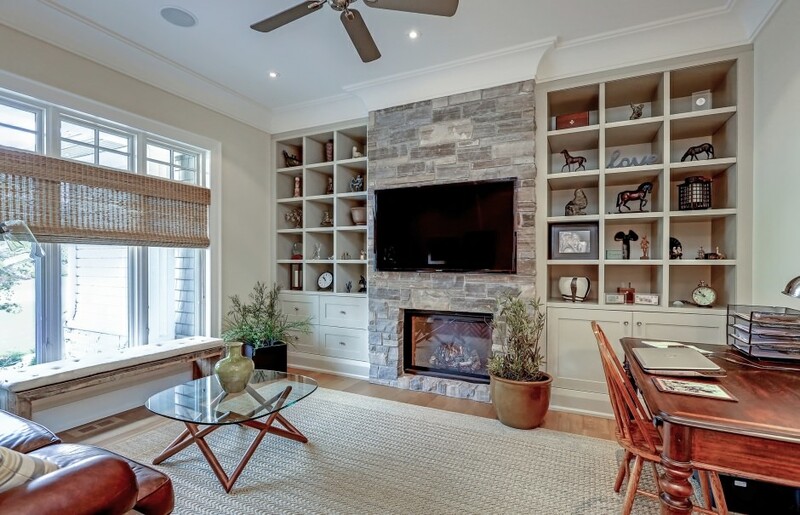 Warm contemporary finishes, luxury grade appliances and custom created cabinetry compliment the principle rooms of the home, all overlooking the private and well wooded‎ area beyond the fully fenced yard. 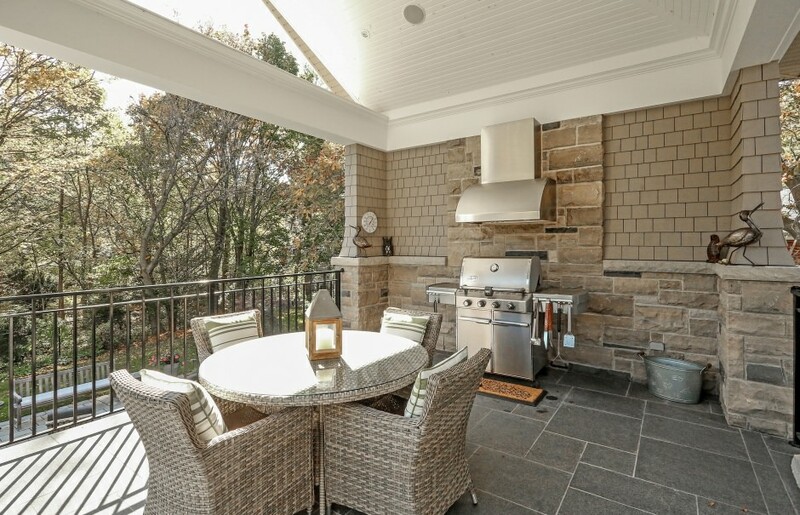 A stunning outdoor dining area is enclosed by a hand cut stone wall, and built-in BBQ area with exhaust hood, all an easy step out from the kitchen, to be enjoyed all day long. 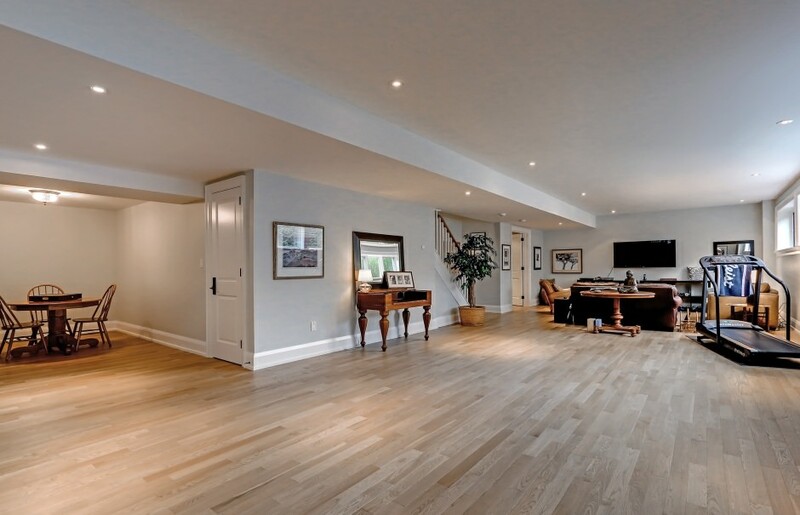 Gorgeous marble, slate, and hand cut stone add to the natural beauty of the rift oak plank flooring throughout the home. 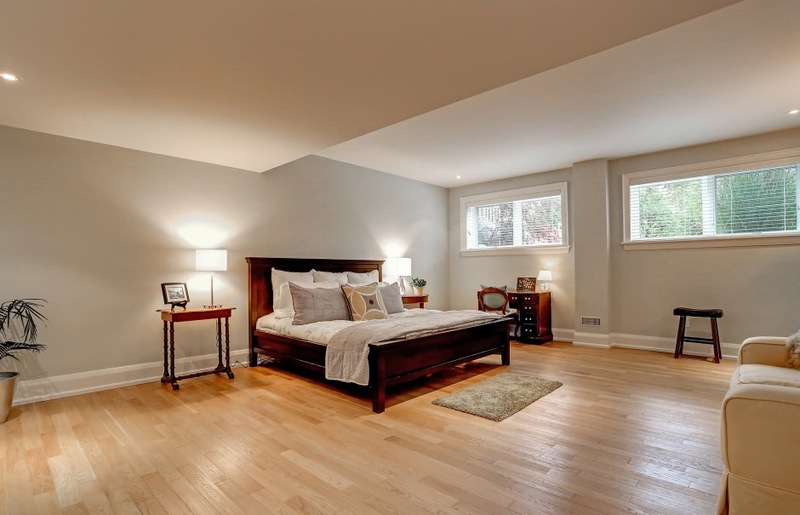 Three main level bedrooms, plus a further two bedrooms in the lower level make this the perfect home for any family’s needs. 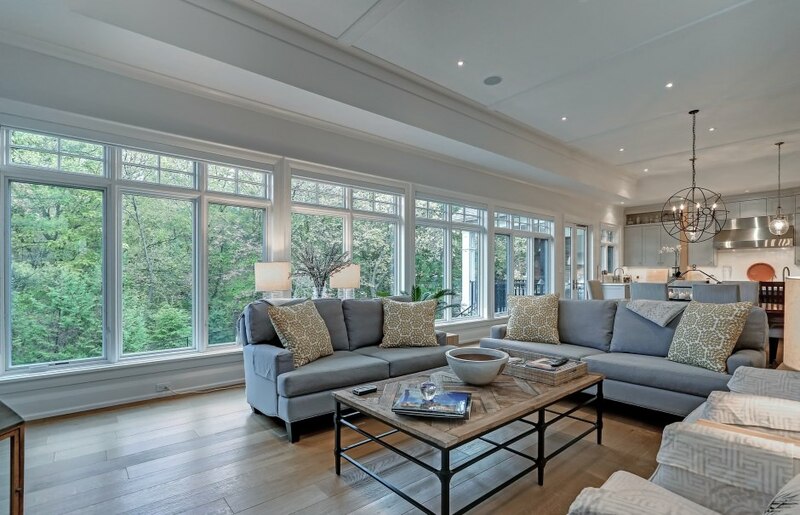 The main level family room is open concept to the principle dining room, all seamlessly flowing into the gorgeous dove grey luxury kitchen with rift oak details. 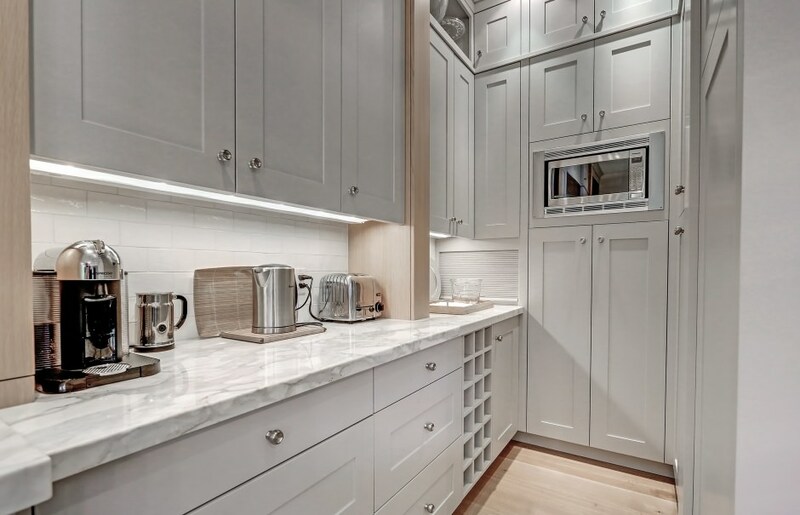 Sumptuous Calcutta marble countertops showcase the top of the line appliances, including Sub Zero refrigerator and Viking Series gas range. 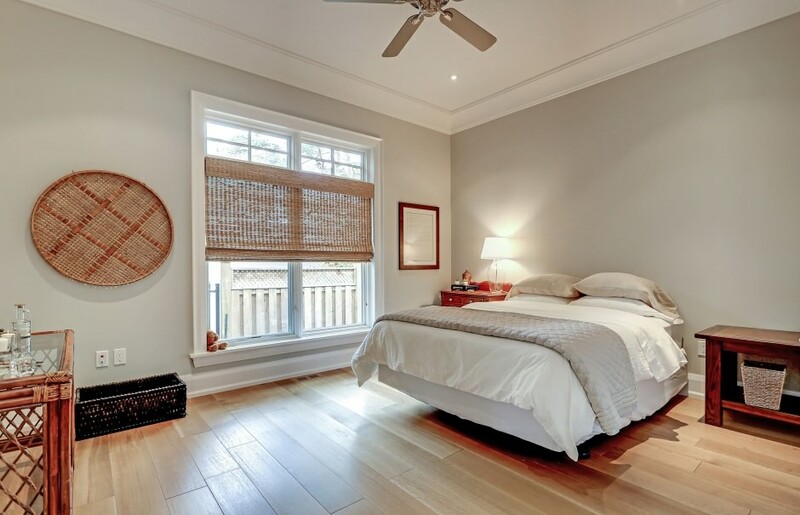 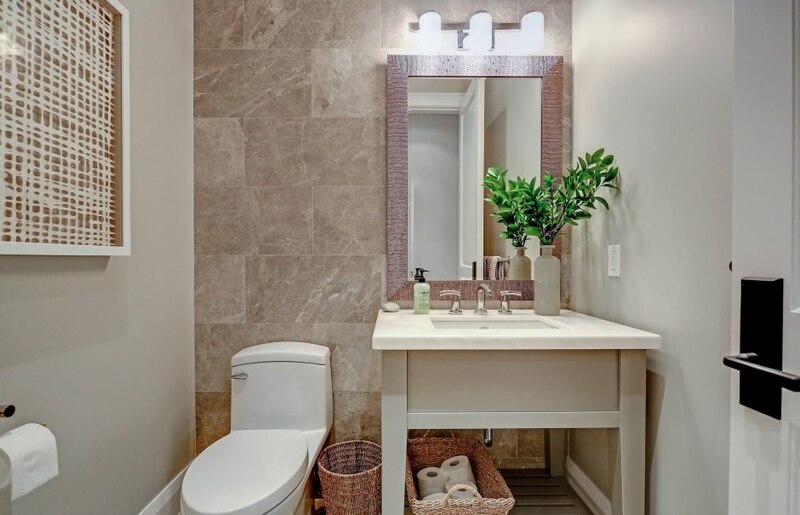 No detail is overlooked, from the heated floors in the ensuite bathroom, to the copper details in the roof lines‎. 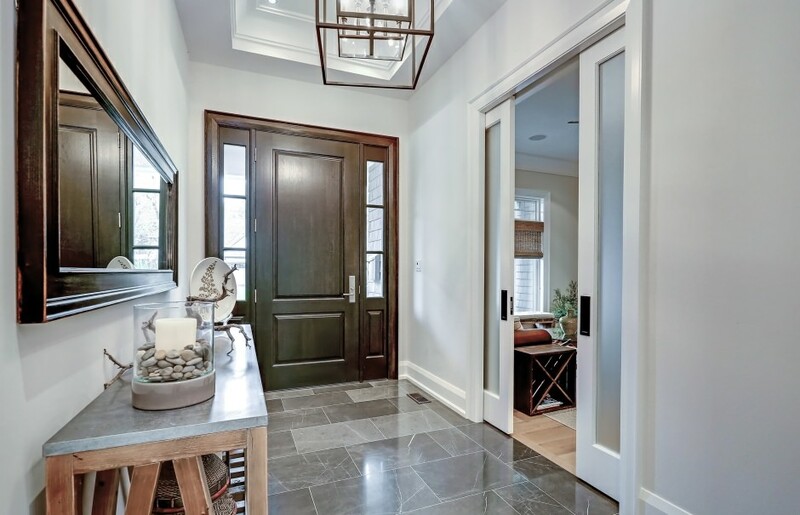 The Pella windows and doors found throughout add future value to the home. 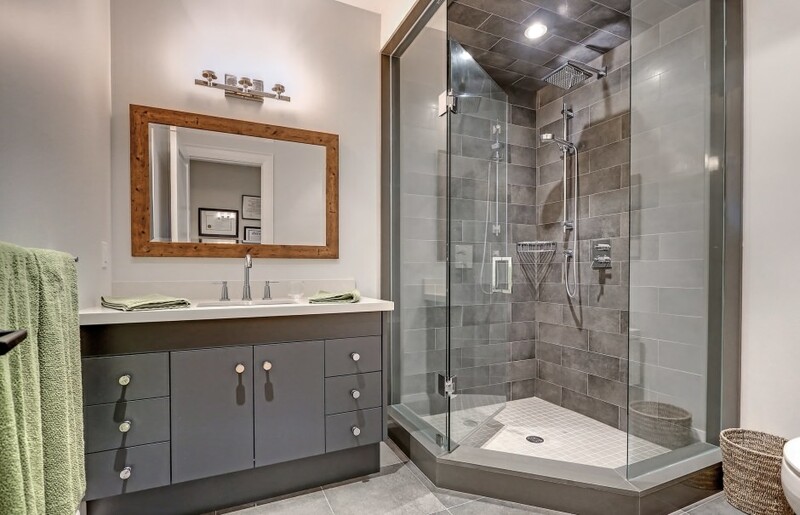 Additional offerings include full sound system, 4 zone heating, Hepa air filter system and Rinnai tankless hot water system.